Connie Benton Wolfe is the new President and CEO of Aging and In-Home Services of NE Indiana based in Fort Wayne. 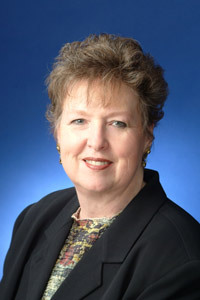 Prior to coming to Fort Wayne, she was the CEO of the United Way of Johnson County, based in Iowa City. Benton Wolfe has worked as a leader in the field of aging for over twenty years holding positions at the national level as Executive Director of the National Meals on Wheels Foundation and the National Association of Aging Services. She also has experience working with home and community based services at the local community level. Working under contract with the U.S. Administration on Aging, she was the Director of one of thirteen National Eldercare Institutes on Aging nationwide and has provided consultation and speaking services in over 30 states, plus Japan, Canada and Denmark.